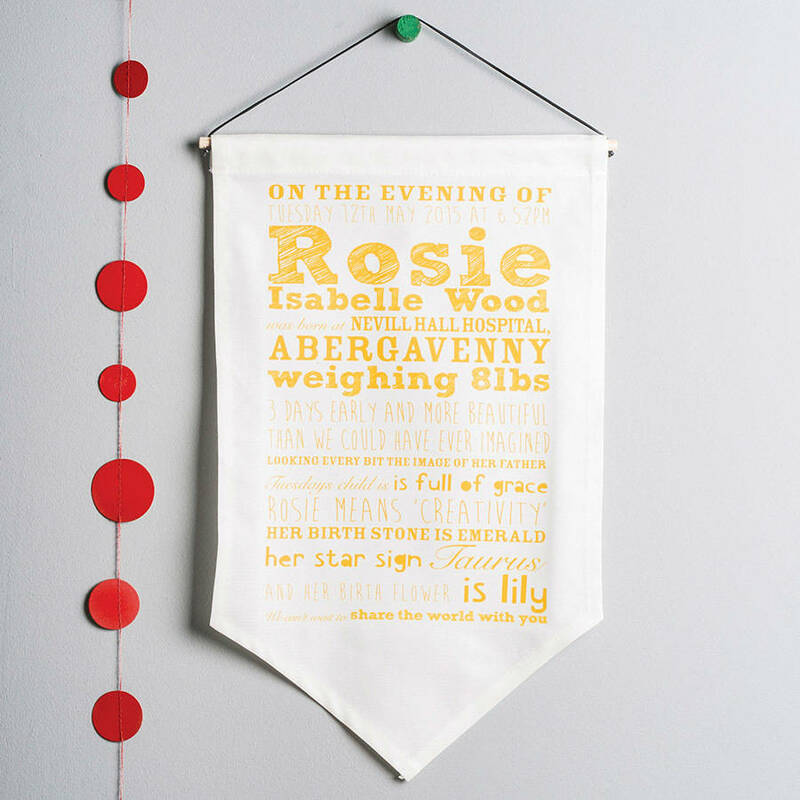 A quirky and personalised fabric print displaying your child's details and birth story in a typographic style. 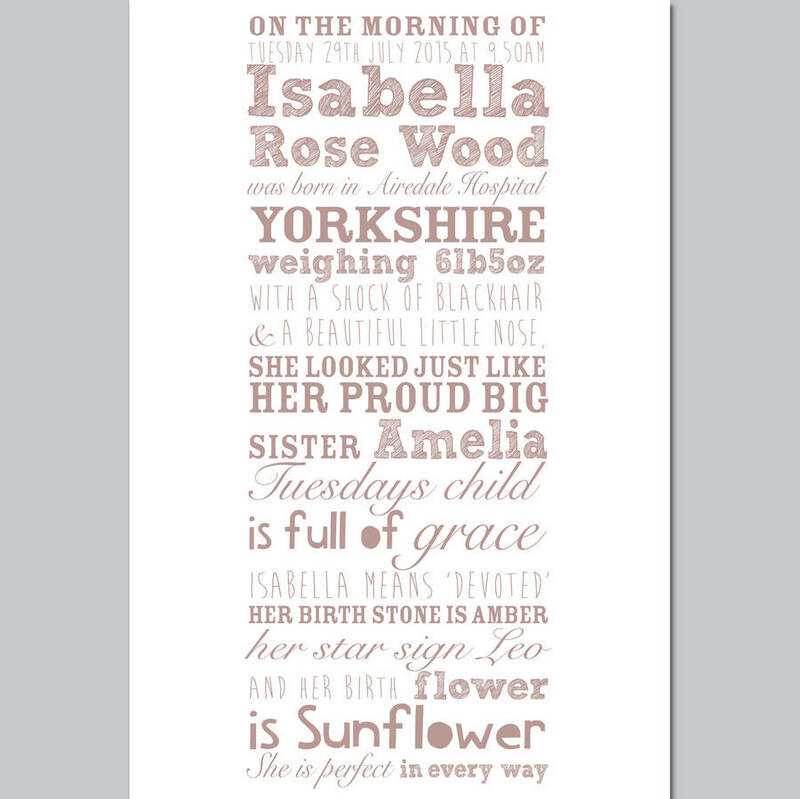 This gorgeous, typographical fabric print oozes personality and charm with its mixed font design of your chosen name, birth details and story of birth. 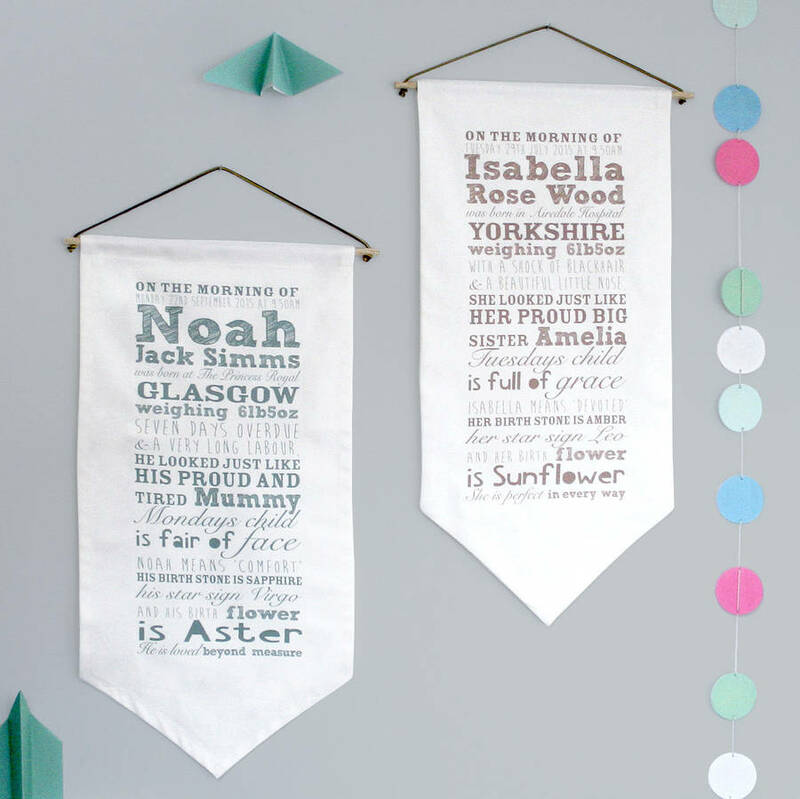 These wall hangings would make a stylish addition to most nursery themes and would also make a beautiful and memorable keepsake gift. 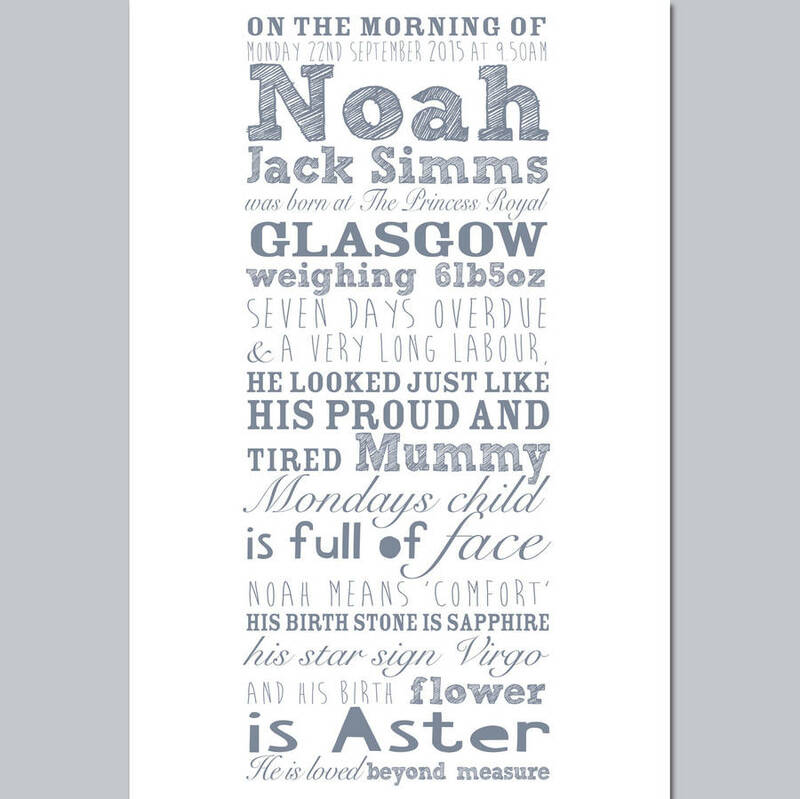 Perfect for a Naming day, Christening or new baby gift. Our talented designers will ensure that your words are arranged carefully. 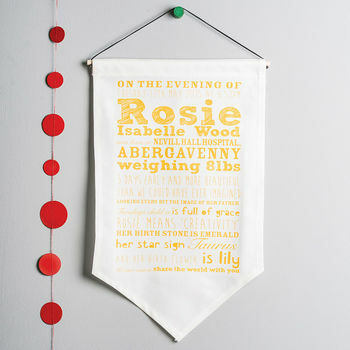 Colours available - sage, rust, yellow and slate blue. This bold, typographical print can be personalised to include your chosen name and meaning. If you provide the name and other birth details, we will research the birth stone and flower, etc. Wednesday's child will fear no foe. The child who is born on the Sabbath Day is bonny and blithe and good and gay. Your print will be printed on a lovely, white, heavyweight cotton. Includes dowling and leather lace ready for hanging. British-made by Modo Creative.